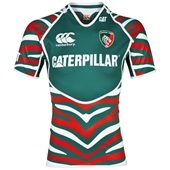 This, apparently, is the new Leicester Tigers shirt for next season, as designed by new kit partner Canterbury. I have no real interest in Leicester (other then having played against their Colts team many moons ago) but this is just truly horrible. And yes, I do see what Canterbury have done by weaving the traditional Leicester colours into ‘Tiger’ stripes - it must have taken at least a few seconds to come up with that stroke of genius. 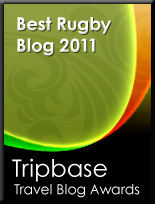 Canterbury will become England’s kit partner later this year and, on this evidence, the omens are not good. As it is though..youre right. It's horrible.